HEMPSTEAD, NY--(Marketwired - July 20, 2015) - The New York State Department of Education has approved license-qualifying nurse practitioner (NP) programs to be offered by the new Hofstra North Shore-LIJ School of Graduate Nursing and Physician Assistant Studies. Created as part of a partnership between Hofstra University and the North Shore-LIJ Health System, the graduate programs are designed to meet the increasing need for nurse practitioners and physician assistants to deliver community-based health care. In addition to nursing, Hofstra's two existing programs in Physician Assistant Studies -- a dual degree program and a graduate program -- will be housed in the new school. The Physician Assistant Studies graduate program is ranked #70 in the nation, according to the 2016 US News & World Report Best Graduate Schools report. The state also recently approved Hofstra's Graduate Program in Occupational Therapy, which will be housed in the School of Health Professions and Human Services and launch in September. "We have a unique opportunity to redesign both medical and nursing education in an inter-professional education curriculum that is different than any other in the New York area," said Kathleen Gallo, PhD, MBA, RN, FAAN, dean the new graduate school, as well as Hofstra's School of Health Professions and Human Services. "Meeting the need for accessible, affordable high-quality health care is an economic and moral imperative," said Hofstra University President Stuart Rabinowitz. 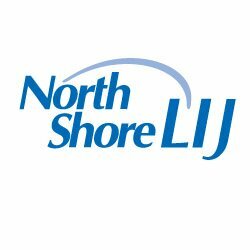 "Our expanding partnership with North Shore-LIJ brings together the expertise and experience of the best minds in medicine and the health professions to improve the lives of Long Islanders." Michael Dowling, president and chief executive officer of North Shore-LIJ, said the program's hands-on approach to learning would tap into North Shore-LIJ's network of 19 hospitals and more than 400 outpatient clinical practices, as well as a vast educational and research enterprise that includes the nation's largest patient simulation center and corporate university, a nursing institute and the Feinstein Institute for Medical Research. "Similar to the pioneering curriculum we developed for prospective physicians at the Hofstra North Shore-LIJ School of Medicine, we will be training nurses to better adapt to the rapid changes occurring in the way healthcare is accessed, delivered and paid for in this country," Mr. Dowling said. Dr. Gallo brings to the new school a blend of scholarly, clinical and management experience. As chief learning officer at North Shore-LIJ, she is responsible for leadership development throughout the health system. She has more than 25 years' experience in emergency nursing, and previously served as the health system's director for emergency medicine and vice president for emergency medical services. She also is an associate professor of science education at the Hofstra North Shore-LIJ School of Medicine. "As our population continues to age and as more people become insured as part of the Affordable Care Act, nurse practitioners and physician assistants will both be key in meeting the growing demand for care," said Dr. Gallo. Hofstra University is a nationally ranked and recognized private university in Hempstead, NY that is one of only two universities chosen to host consecutive presidential debates (2008 and 2012). At Hofstra, students get the best of both worlds. Our campus, with its ivy-covered buildings and lush green quads, is 25 miles from New York City and all its cultural, recreational and professional opportunities. We offer small classes and personal attention, with the resources, technology and facilities of a large university, including the Maurice A. Deane School of Law and the Hofstra North Shore-LIJ School of Medicine. Hofstra University is a dynamic community of more than 11,000 students from around the world who are dedicated to civic engagement, academic excellence and becoming leaders in their communities and their careers. North Shore-LIJ Health System is one of the nation's largest health systems, North Shore-LIJ delivers world-class clinical care throughout the New York metropolitan area, pioneering research at The Feinstein Institute for Medical Research, a visionary approach to medical education highlighted by the Hofstra North Shore-LIJ School of Medicine, and healthcare coverage to individuals, families and businesses through the CareConnect Insurance Co. Inc. North Shore-LIJ cares for people at every stage of life at 19 hospitals and more than 400 outpatient physician practices throughout the region. North Shore-LIJ's owned hospitals and long-term care facilities house more than 6,400 beds, employ more than 13,000 nurses and have affiliations with about 10,000 physicians. With a workforce of about 54,000, North Shore-LIJ is the largest private employer in New York State. For more information, go to www.northshorelij.com.